What lurks behind the thin veneer of what we know as reality? Are there powerful entities that harbor the potent desire to inhabit our bodies and our minds? Throughout history there have been those terrifying occasions when exorcisms have been deemed necessary. Whether these incidents are the result of genuine demon infestation or of mental problems exhibited on a grand scale, it is certain that in some cases there has been an urgent perceived need to purge the entities that inhabit some poor soul from their physical form. One of the most terrifying “real exorcisms” there is revolves around a young boy, and went on to transcend a mere exorcism, to influence the whole public consciousness of exorcisms in general and serve as a direct inspiration for what has been often exalted as one of the scariest movies ever put to film. 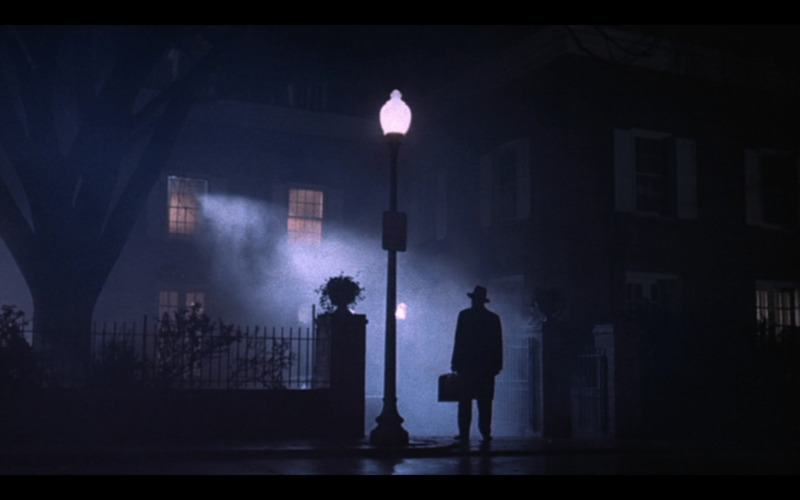 This is the real case behind the film The Exorcist. The story begins in 1948 in in Cottage City, Maryland, where a 13 year-old boy known only by his pseudonym “Robbie Mannheim” lived as an only child with his German Lutheran family. Robbie was a studious boy, but also quiet, shy and withdrawn, with no friends, and so his playmates were mostly his family members, in particular his aunt, Harriet. His aunt was a spiritualist, and as such had various occult objects in her possession, including a Ouija board. One day, Robbie expressed an interest in the board, and his Aunt Harriet was all too willing to show him how to use it. It was probably all innocent enough, and the two would spend summer days playing with the Ouija board, with which Robbie allegedly became more and more obsessed until his aunt suddenly died one day in January of 1949 due to what has only ever been cryptically described as “natural causes.” After the devastating death of his only real friend, Robbie took to desperately trying to contact Harriet through the Ouija board that they had spent so much time playing with together. It is largely considered to be at this point when the story takes a turn for the bizarre. Shortly after the death of Aunt Harriet, the family began to experience an escalating series of strange, unexplained events. It started out fairly innocuous, with sounds of dripping water which had no discernable source and scratching noises in the walls. The family at first thought nothing of this, instead chalking it up to bad plumbing and mice, and at one point Robbie’s father had the plumbing checked and even tore out sections of the wall to check for rodents, but there was no sign of anything wrong; the pipes were fine and there was no evidence of a mouse or rat infestation. Even so, for a while the family mostly just tried to ignore the mysterious noises, until the strange occurrences soon progressed to the point that they could not be ignored any longer. The sounds of scratching and dripping water started to be joined by the jarring sound of marching or stomping feet, which on several occasions rudely woke the family up in the middle of the night. There were also various other noises heard at all hours, such as tapping, knocking, and banging, often emanating from within the walls or under floorboards, and with no discernible cause. The bizarre activity soon graduated from mere inexplicable sounds to full blown poltergeist activity. Household items and furniture started to allegedly move around on their own, sliding across floors and even levitating around the room. Sometimes the chandelier would swing by itself or pictures would inexplicably fall off of walls. 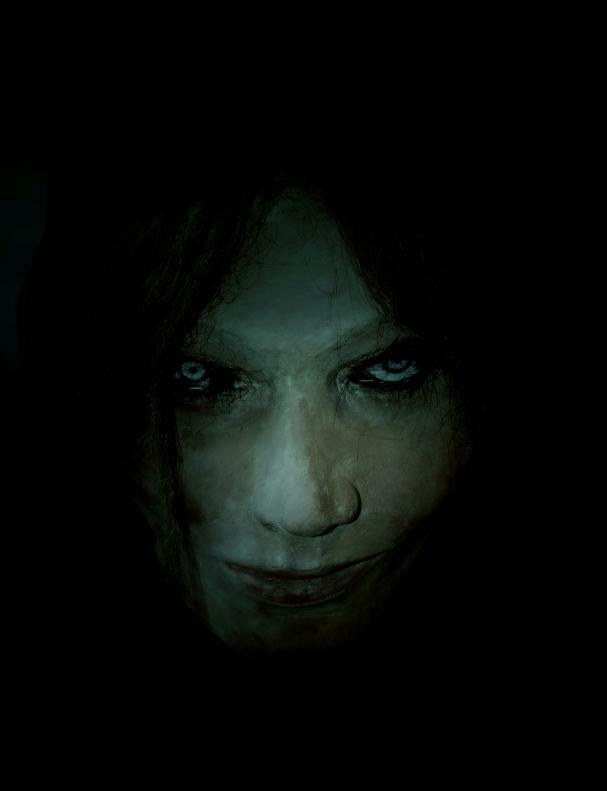 Was this the spirit of aunt Harriet trying to make contact, or something more sinister? Nobody knew. 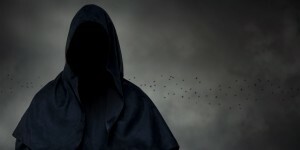 These paranormal occurrences started to increase in frequency and grew more and more malicious and violent. Glasses started to fly across rooms to shatter against walls, and pictures with religious imagery, of which there were many in the devoutly religious household, began to rattle violently or fly across rooms. Robbie also started getting scratch marks, welts, and bruises on his body for no apparent reason. On one occasion, Robbie’s mother came to investigate strange noises coming from the boy’s room only to find the whole bed shaking with him still on it. All of the strange activity seemed to be focused on Robbie, and it was even alleged that it followed him to his school, where on at least one occasion his desk was witnessed by multiple other people to slide across the floor on its own to smash into other desks. Throughout all of this strangeness, Robbie’s personality and behavior began to deteriorate as well. The normally quiet and timid boy began to become more aggressive and prone to angry outbursts and tantrums. He also became physically violent towards his parents and towards inanimate objects as well. It is alleged that he would on occasion spew forth litanies of profanity and obscenities in a voice that seemed to be from someone else. It was also reported that he would sometimes speak in Latin, a language the boy had no knowledge of. Robbie’s concerned parents suspected something very wrong was going on, and took him to a string of doctors and psychiatrists, but everywhere they went they were told that there was nothing wrong with him and that they had no explanation for his odd behavior. With no concrete answers, the unexplained phenomena continuing unabated, and Robbie’s descent into ever more violent behavior worsening, the family turned to the church for help, calling on Rev. Luther Miles Schulze for help. Schulze at first was somewhat skeptical of what he heard from the harried parents, but agreed to go to the house to spend the night and investigate. He would not be disappointed. During the time that he was at the house, Rev. Schulze witnessed the boy’s bed shake and rattle as he slept, and he heard numerous inexplicable scratching and banging noises. He was also able to observe furniture sliding about the room for no apparent reason. The shaken Reverend was forced to conclude that an evil force was present in the house that was focused on Robbie, and he performed a simple Lutheran exorcism rite but it seemed to have no effect whatsoever. Sensing he was in over his head, Schulze referred the family to a Roman Catholic priest by the name of Edward Hughes, who agreed to meet with the boy. When Hughes arrived at the house and saw Robbie, he was immediately unnerved by the boy’s dark gaze, which he described as looking “as if there were nothing behind the eyes,” and he noticed that the boy was staring intently at the various religious texts he had brought with him. Although this was spooky enough, it was what allegedly happened next that would convince the Father that he was dealing with something truly supernatural. When Hughes put the Bible on the table across from the boy, it is said that the chair that the priest was sitting in began to vibrate and then to levitate from the floor with him still in it. Hughes, understandably shaken by the incident, responded by asking the boy “Who are you?” in Latin, to which Robbie answered, also in Latin, with the intimidating “I am legions.” The response was unsettling for two reasons. For one, Robbie had no way of understanding Latin as he did not speak it, and two, “legions” implied that there was more than one diabolical entity residing within the boy. Hughes was convinced that an exorcism was in order, but he was not entirely confident in his ability to do so. He had no previous experience with exorcisms and it was to be the first one he had ever performed. To try and keep everything in a controlled environment, he had the boy moved to a Jesuit hospital, Georgetown University Hospital, where the exorcism would be monitored by the Jesuit brothers there. When Robbie was brought in, he exhibited a strong aversion to the place. He became extremely volatile; screaming obscenities, hissing, kicking, thrashing about, and spitting. He was so violent and out of control that nurses were forced to restrain him with wrist straps for the duration of the exorcism. Father Hughes then spent the next three nights reciting the exorcism rites, but this did nothing but make the boy even more violent and disorderly, and he was said to have foamed at the mouth and directed barrages of insults at the priest. On the last night, Robbie, or whatever force was controlling him, managed to slip out of one of the wrist restraints, after which he proceeded to rip out one of the bed springs, a feat which should have taken more strength than a boy that age should possess, and then slash Father Hughes from the wrist to the elbow. The egregious wound prompted Father Hughes to call off the exorcism, and Robbie was sent home while the priest recuperated from his injury. Robbie’s family travelled to Saint Louis to visit relatives, where they spoke to a priest and professor at St. Louis University by the name of Raymond Bishop, who then referred them to another priest named William S. Bowdern, who was a senior priest of the St. Louis Diocese. The two priests visited Robbie at his relatives’ home and were immediately met with a wicked tirade from the boy in a deep, guttural voice. They also allegedly witnessed furniture tossed about by an invisible force, and the boy demonstrated a profound hatred towards the Bible and all religious imagery. This was all of the evidence they needed to get yet another exorcism approved by the archbishop. Father Bowdern was well aware of the catastrophic failure of the previous exorcism attempt, so for this exorcism he made sure they were well prepared, enlisting further help in the form of two other priests by the name of Walter Halloran and Rev. William Van Roo, and once again it would take place in a Jesuit institution, this time at Alexian Brothers Hospital. This time, for the safety of the boy they were trying to save and those around them, the exorcism would be conducted in a room in the psychiatric ward that was sound proof, had no furniture or windows, and a door that could not be opened from the inside. When first confronted by the cadre of priests sent to do battle with the evil roiling within him, Robbie immediately began to spit in their faces and unleash a barrage of profanity, including making sexual propositions to the priests, insulting their families, and threatening them with violence. The boy also lashed out physically, and the priests noted that he was hitting with strength far beyond that of a boy his age. These full grown men also had a difficult time restraining the furious, raving boy when he was at his most violent, on at least one occasion resorting to shoving a pillow over the his head to subdue him. Robbie was not always this aggressive during the exorcism, and it was mentioned in the priests’ diaries that he sometimes went into calm states of lucidity during which he would just stare at them with thoughtful malevolence, and these times were perhaps just as unnerving as the violent outbursts, if not more so. During the next 6 weeks, the priests pressed on with their exorcism, and a wide variety of weird things occurred. At times, scratches and welts would appear on the boy’s body, with some of them purportedly etching out words such as “Hell” and “evil” directly into his flesh. One time, when the priests were reciting a prayer, the word “HELLO” appeared on the boy’s chest right before their eyes. The priests also witnessed the bed shaking and furniture being toppled over, often in response to holy water, which seemed to infuriate whatever was inhabiting the boy. After weeks of unsuccessful efforts and 30 failed exorcism rites to rid the boy of the demons, with the priests, and the aged Father Bowdern in particular, growing exhausted and beset by fatigue, they decided to try a last ditch effort of baptizing Robbie and forcing him to take Holy Communion. The rationale for this was that if they could convert the boy to Catholicism by anointing him, then he would be more susceptible to the specific exorcism rites and commands of the Catholic priests. The demons had other plans. When presented with the communion wafer, the boy flew into an unrelenting, evil fury, reportedly tossing the men across the room with superhuman strength and hitting Father Hollaran so hard that he shattered the priest’s nose. With a last, all out effort, the priests were able to restrain Robbie just long enough to force the wafer down his throat, all the while his teeth snapping at their fingers. The only thing that seems to have been missing was the boy’s head spinning 360 degrees and spewing pea soup. For several days after the communion, there was no change in Robbie. He remained just as animalistic and demonic as before, but then something strange happened. One day he woke up and in a calm, clear voice allegedly proclaimed “Satan! Satan! I am Saint Michael, and I command you, Satan and the other evil spirits, to leave the body now,” with Michael being the Archangel who originally is said to have thrown Satan down from heaven into exile and is said to have the most power over him. After proclaiming this, whatever forces had been holding Robbie’s body hostage were suddenly gone and all was calm. The exorcism had finally succeeded. After that, Robbie began to go to regular mass, returned to school, and things slowly went back to the way they had been before the whole nightmare had begun. It is said that he never exhibited any further signs of possession, and had very little recollection of anything that had transpired during his ordeal. By all accounts, Robbie went on to have a relatively normal life. In order to protect his privacy, the family never released the boy’s real name, and eyewitnesses to the incident have done their best to guard his identity. He is only known by the pseudonyms “Robbie Mannheim” and sometimes “Roland Doe.” His true identity and name remain a mystery to this day. It certainly is a spooky story, but it has drawn considerable skepticism and controversy over the years, especially the more supernatural elements involved. It has been argued that there is no real credible evidence to point to anything paranormal going on, and there is no way to truly verify some of the more outlandish claims made by the priests. Many have accused the whole possession of being completely faked by the boy, perhaps to get out of school or as an outlet for releasing pent up stress from some psychological trauma. 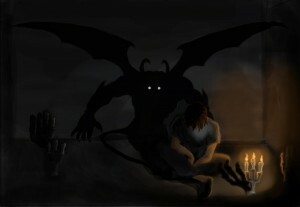 Others have said that the possession was more likely indicative of a serious mental problem such as as multiple personality disorder, automatism, Tourette’s syndrome, or schizophrenia, rather than the work of mysterious demonic forces. Perhaps the most damning strike against the authenticity of the account comes from one of the priests who was actually there, Father Halloran himself. Years later, Halloran would say that his fellow priests had greatly exaggerated certain supernatural aspects of the case. He claimed that the voice changes were not as dramatic as was led to be believed and that the scratches on the body could have been made by the boy on himself, as they had failed to check his fingernails for blood. He also said that he thought it was possible that the boy had merely mimicked Latin words he had heard the priests say rather than demonstrate any supernatural understanding of the language. Even the purported supernatural strength he claimed was not beyond that of a amped up teenage boy in the midst of a full blown rage. 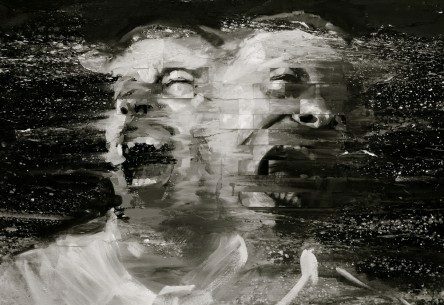 Nevertheless, there are those who see the case as genuine, pointing to the poltergeist activity, the disconnect between real mental illnesses and what the boy displayed, the way he suddenly recovered from what would normally take years of therapy to undo in the case of mental illness, the boy’s prodigious strength, and the shaking of the bed, among others, as evidence that this was no mere tantrum or psychological disorder. 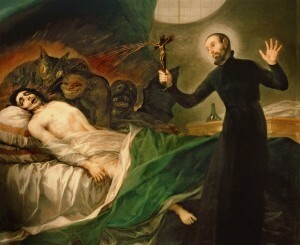 Many religiously inclined people point out that the case shows all of the classic, unexplainable hallmarks of other “genuine” exorcisms that remain unsolved to this day, and that these could only be caused by demonic dark forces beyond our understanding. What happened to Robbie Mannheim? Was this merely a tormented soul begging for attention? Was this the mental implosion of a seriously psychologically disturbed youth? Or was this something more? Could this boy have really been held under the insidious influence of demonic forces beyond our reality? Whatever the answer may be, the case of Robbie Mannheim continues to stir up controversy, debate and discussion to this day. In the end, it is quite possible we will never know for sure, and the question of whether evil forces surround us with a desire to inhabit our bodies remains unknown.